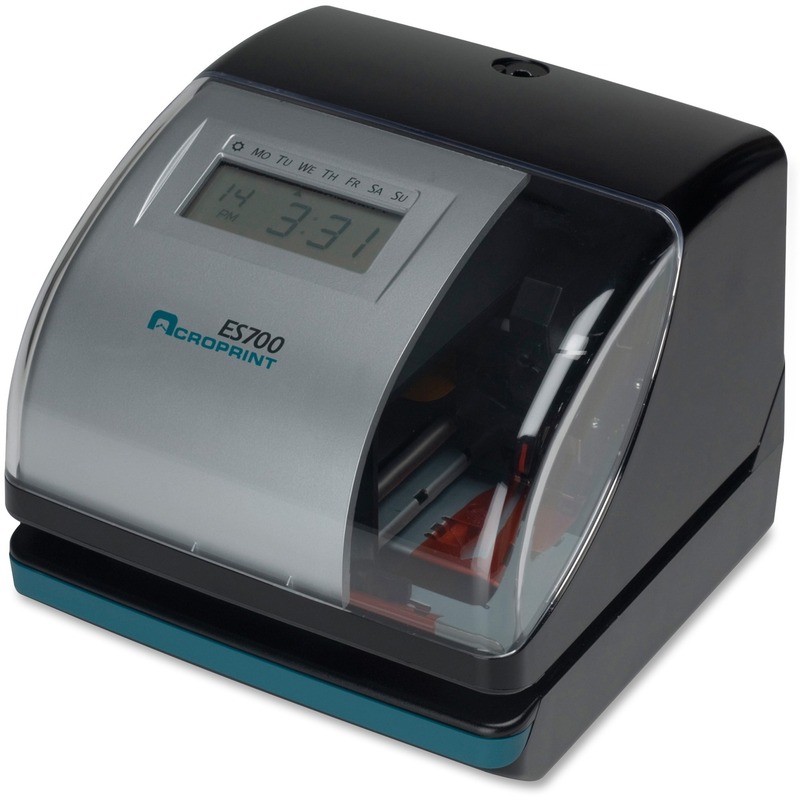 ES900 Time Recorder performs the functions of the time recorder, time stamp, and numbering machine. 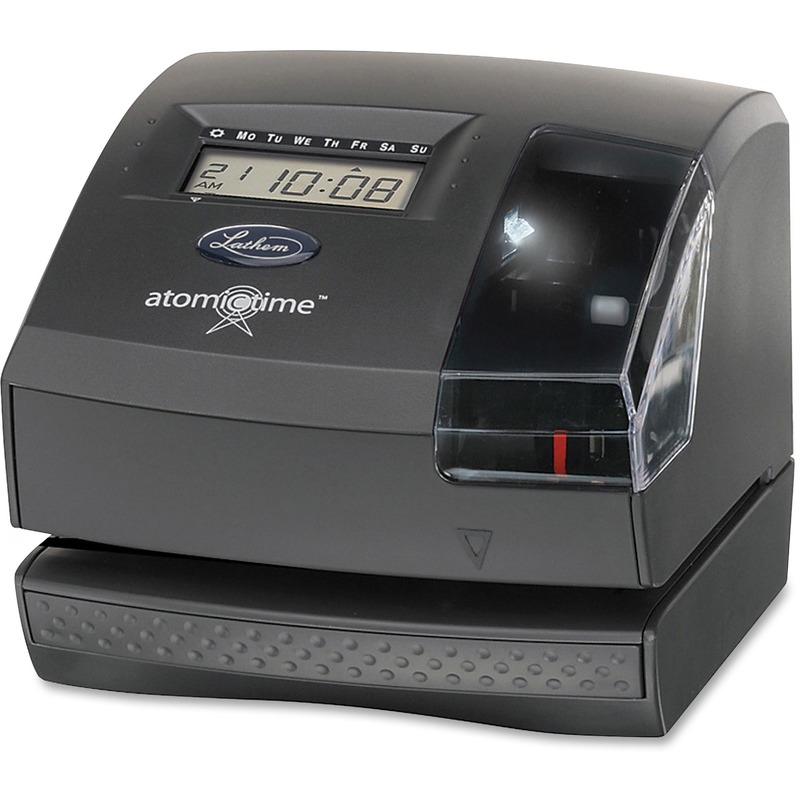 Atomic feature synchronizes time automatically providing accurate time from the U.S. Atomic Clock. 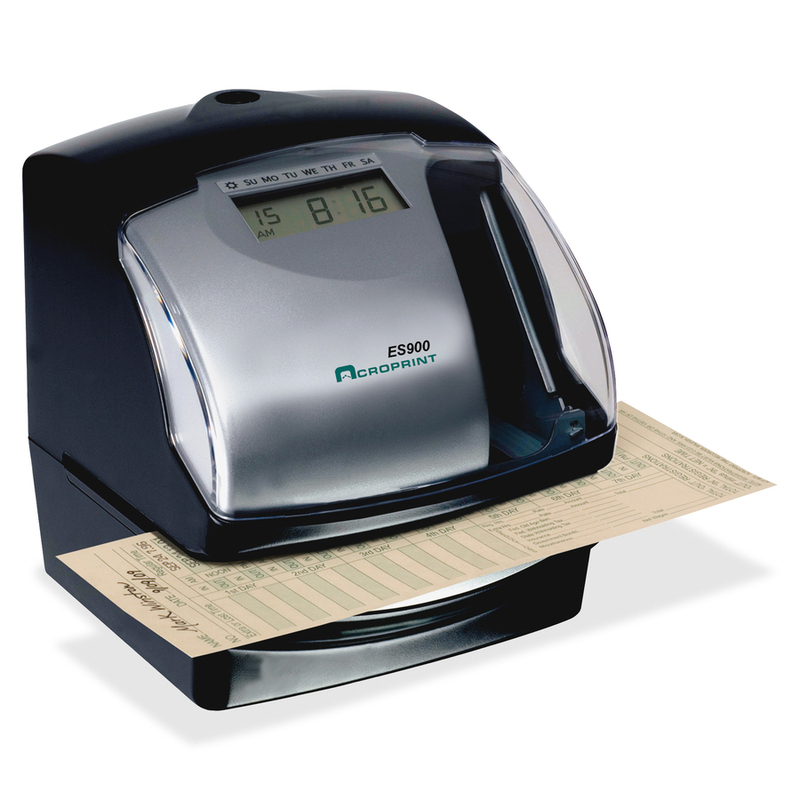 Clock identifies early or late employee punches with the I-Mark and makes auditing cards easier for accurate payrolls. 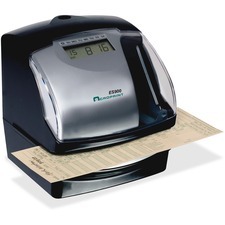 Design also features built-in battery backup, Daylight Saving Time changes, internal light, auto-adjust 120/240 volt power supply, more than 300 selectable print formats, one to eight-digit consecutive numbering, left-hand/right-hand margin printing, and 13 preset messages (RCVD, SENT, IN, OUT, CFMD, FILED, PAID, USED, FAXED, VOID, ORIGIN, APR'D, CMPL'D) in your choice of English, Spanish, German, French, Italian or Portuguese. 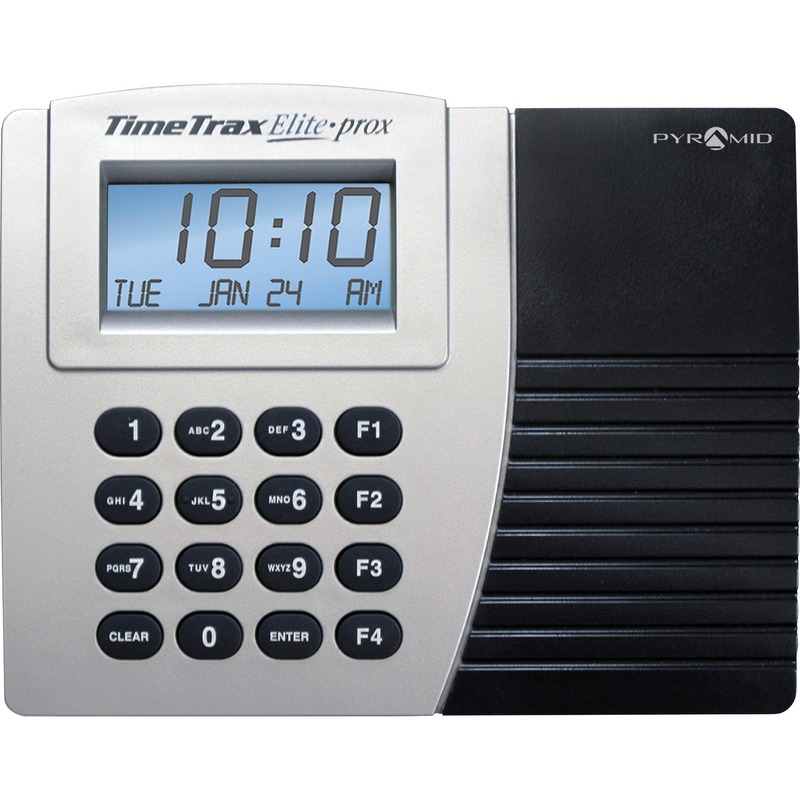 Password-protected time recorder uses standard time cards.